I have received some very Happy Mail in the past month or so and thought I would share it with you. 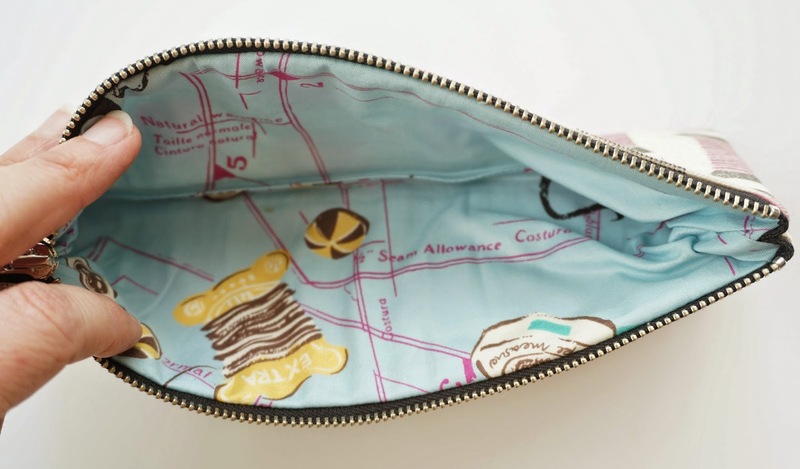 This adorable Pencil Pouch was hand printed by Krista Fleckenstein. You can find her fabulous work over at her website Spotted Stones. I was lucky enough to win the pouch in a series she is doing this year on her blog - a printmaking series with new prints on fabric and an item made from that print. I adore the Suzuko Kokeski print used for the lining. Rumour has it, she is coming out with a book this year. I can't wait! Amy from During Quiet Time made this adorable block for me. We are both members of the Cocorico Quilting Bee. I asked for more blocks for my Paris themed quilt. 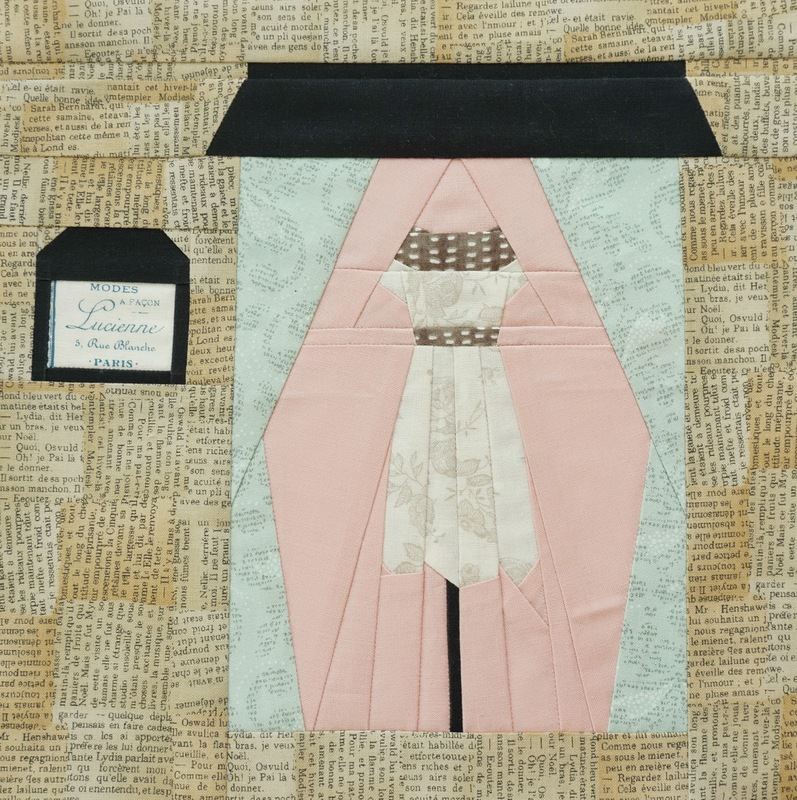 I wish you could see the quilt block in person. The picture does not do it justice! It is adorable. The little sign that says Lucienne is so cool! My youngest son's name is Luc, short for Lucien. What an amazing coincidence. I am looking forward to assembling this quilt. It is going to be lovely! I hope you find time for some creativity today! 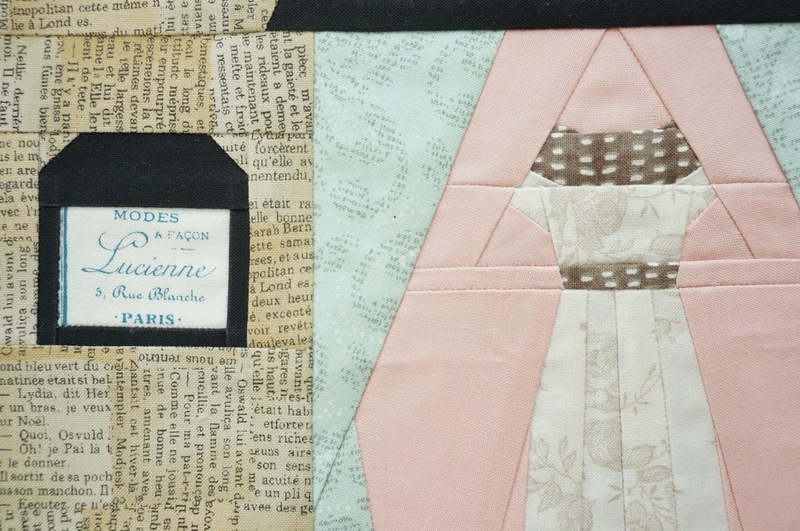 Oh this paper pieced dress is the cutest thing I have ever seen! Wow, I can't believe that is hand-printed! Love the PP! and the print on that pouch is so cool!